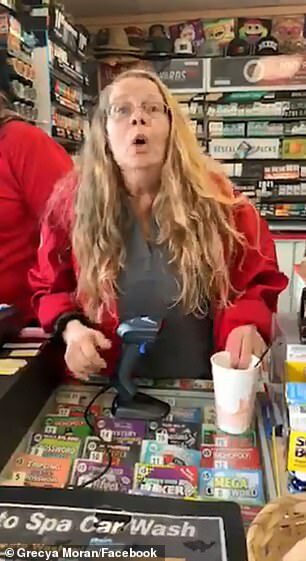 A gas station worker has been fired for a racist tirade at a customer who spoke Spanish after asking her to prove her U.S. citizenship. 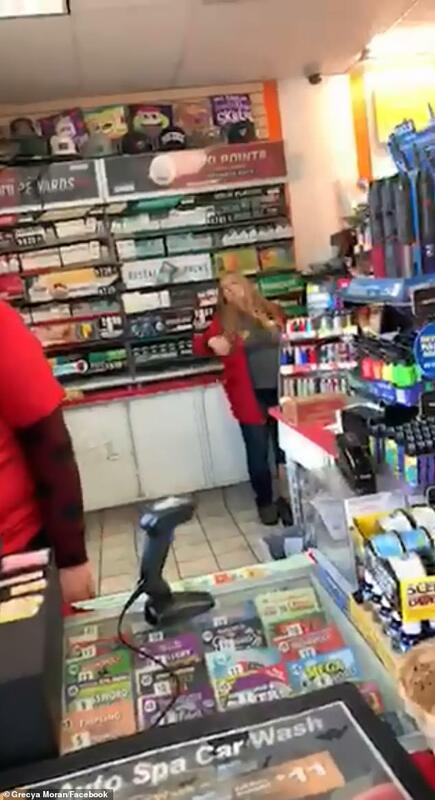 Grecya Moran filmed the shocking abuse on her phone at the Shell gas station in San Jose, California, after her conversation with a Spanish employee there was interrupted. 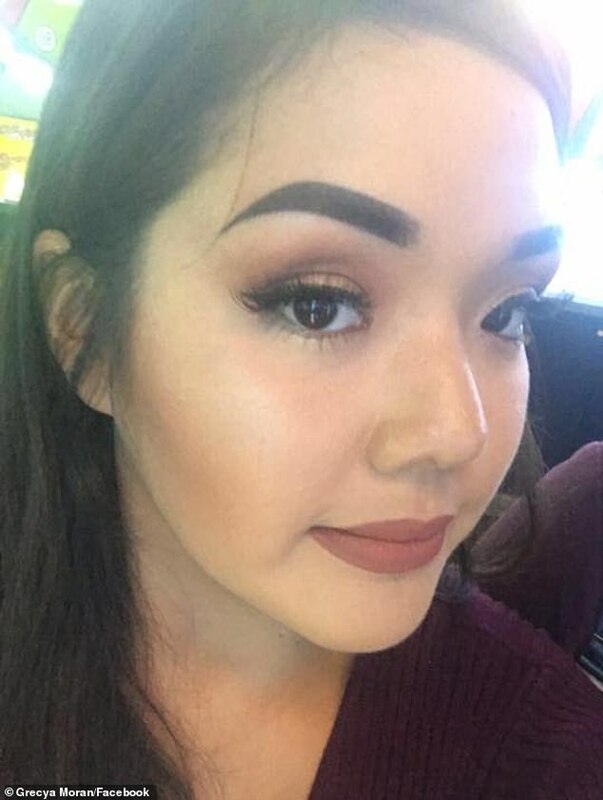 She says the worker demanded the two speak English 'because this is America'. Grecya, who was holding her young son at the time of the incident, said she initially apologized, adding: 'I even went up to her and I apologized. 'I said, "Excuse me, I'm sorry. All she was saying is, she was greeting me in Spanish. How my day's going". 'And she said, "I don't care, you talk in English because this is America." 'She started saying something about, "Trump needs to hurry up and build the wall". 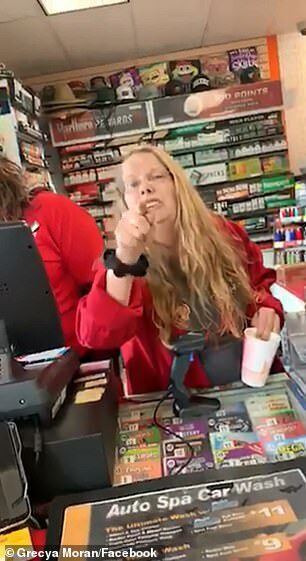 In the shocking clip the woman can be heard asking Moran to prove her U.S. citizenship in an expletive-ridden rant. Moran shared videos of the racist rant to Facebook, and they’ve since been viewed and shared thousands of times. A manager at the gas station confirmed to the network that the worker, who has not been named, was fired. Moran has since reported the disturbance to police as a possible hate crime, reports say.